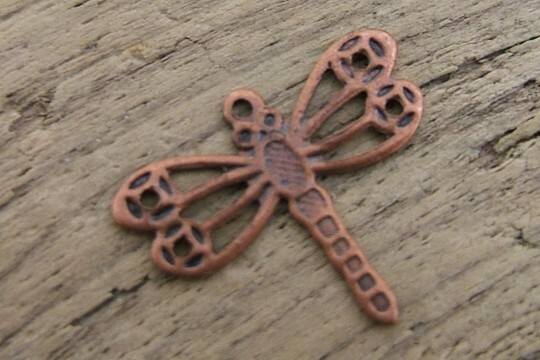 This tiny component charm is a delightful little dragonfly, so popular amongst jewelry makers and hobbyists of all kinds! 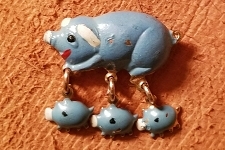 It's delicate shape and size belies its strength. It measures a slight 9/16 inch from wingtip to wingtip and 1/2 inch from top to bottom including the tiny hanging hole. The antiqued copper gives it a special appearance that we love.